The city has exceptional art collections, bustling shopping areas and intimate cafés serving delicious tapas. 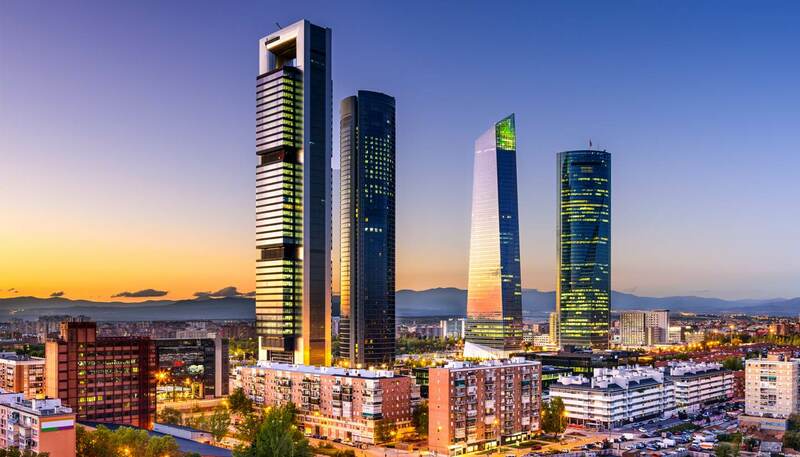 Spring (March to May), particularly May, is a great time to visit Madrid as you will enjoy good weather and a string of festivals, including the city’s biggest celebration, the Festival of San Isidro. Summer (June to August) can be unbearably hot with temperatures reaching over 35C when heatwaves strike. Pack a swimsuit so you can cool off in one of the city’s public swimming pools. Autumn (September to November) is another popular season to visit and enjoy the beautiful autumn foliage in Madrid’s many parks. Winter (December to February) is crisp and cold, but you often get to enjoy sunny days. This is a good time to visit the festive Christmas markets around town and pick up quality homemade gifts. The market in Plaza de España is particularly interesting. 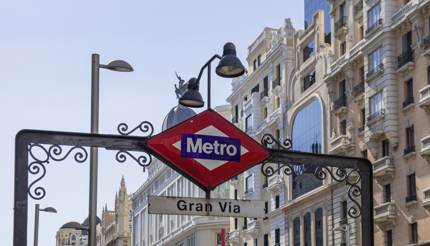 Public transport in Madrid is excellent – bus, metro and trains run regularly and the fares are cheap. For visitors, buy a Madrid Tourist Travel Pass and enjoy unlimited travel on all public transport including to and from the airport (if you get a Zone A card). Taxis can be hired at ranks or on the street. For information about driving in Madrid and where to hire an electronic bicycle, visit the getting around Madrid page. With thousands of European art works from the Middle Ages through to the 19th century, Prado is the most important museum in Spain. The best-known works on display include the exquisite Las Meninas by Velázquez and The Third of May 1808 by Goya. The sum of several Barons of the name Thyssen, the 1,600-strong collection includes masterpieces by Monet, Picasso and Caravaggio. Built in the 18th century by Philip V, this spectacular 3,000-room palace is full of art, tapestries and antiques. The Royal Armoury and Puerta del Moro gardens are notable treats. Once the private garden of Philip IV, this huge immaculate park in the centre of Madrid is a place for picnics and romantic strolls. Don’t miss the gorgeous Galápagos fountain, and if you’re curious about what lies ahead, seek out a fortune teller here. This beautiful central square and nearby Puerta del Sol give a taste of what Imperial Spain was like at its height of pomp. The surrounding areas are full of tapas bars and outdoor cafés. For more ideas on key attractions, check out our things to see in Madrid guide. Once a retreat for noblewomen, this convent is a treasure trove of tapestries, paintings, sculptures and artistic treasures. The convent is open or guided tour only. 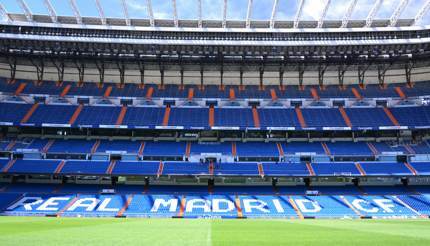 If you are a fan of Real Madrid, then make a pilgrimage to this giant stadium and watch the team in action. 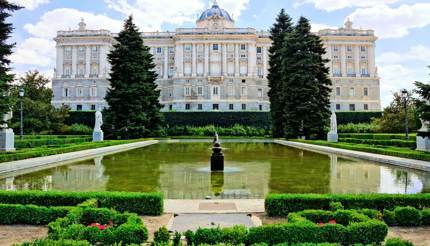 For more offbeat tips including walking the Royal Path, visit our things to do in Madrid page. Cocido: a fragrant and rich chickpea and meat stew popular in Madrid. Jamón: one of many cured Spanish meats, Jamón is a type of finely sliced cured ham. 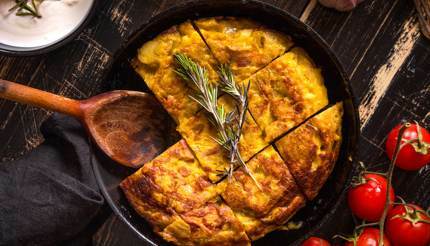 Tortilla Espanola: a rich, chunky potato omelette. Mahou: the most popular beer in Madrid. Rioja: the country’s flagship red wine, made from Tempranillo and Garnacha grapes. Tipping: although Spanish VAT of 10% is included in most menu prices, it is customary to leave a 5% tip. Madrid has no shortage of hotels; from wallet-friendly accommodations to massive palatial properties, you’ll be spoilt for choice here. Near Plaza Santa Ana, Casual Madrid de Teatro is one of the best budget hotels. If you have the cash to spare, then The Principal is a splendid option – nestled on the corner of one of Madrid’s most important streets, Gran Via, guests can enjoy cocktails at its La Terraza and drink in panoramic views of the city at the same time. 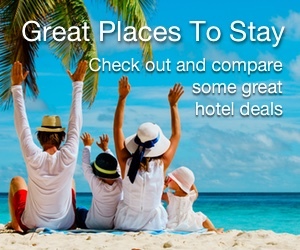 For other cheap, moderate and luxury options, see our hotels in Madrid guide. Nightlife in Madrid happens late (after 11pm) and centres on three major districts – Chueca, Calle de las Huertas and Malasaña. If you’d like to catch a flamenco show, Casa Patas is frequented by tourists and locals alike. Check out the nightlife in Madrid guide for the best bars, clubs, and live music venues. EU nationals don’t need a visa to visit Spain, regardless of the purpose and/or length of stay. Americans, Australians, British and Canadians also don’t need a visa to visit Spain. For more information, check out the Spain visa and passport requirements page. Visitors to Madrid tend to stick to the central area between the Palacio Real and the Puerta del Sol, but if you would like to venture out and see more during your trip to Madrid, then check out the complete Madrid city guide before your trip.